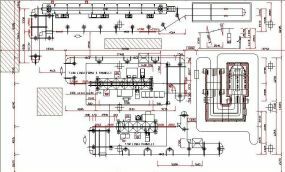 Below a typical enameling plant layout for cooker panels & ovens, based on electrostatic powder application technology and 2 coats / 2 fire enameling process for parts in light colors, which fits in a building of 50 x 20 meters. Products are first pretreated with a warm alkaline degreaser in a spray washer, while being suspended to an overhead conveyor. After the degreasing stage, the products are rinsed with normal water or demi water in case of hard water. The last stage of the pretreatment process is drying at circa 150 degree Celsius in a U-type convection dryer. The products are now free of oil & mechanical dirt. 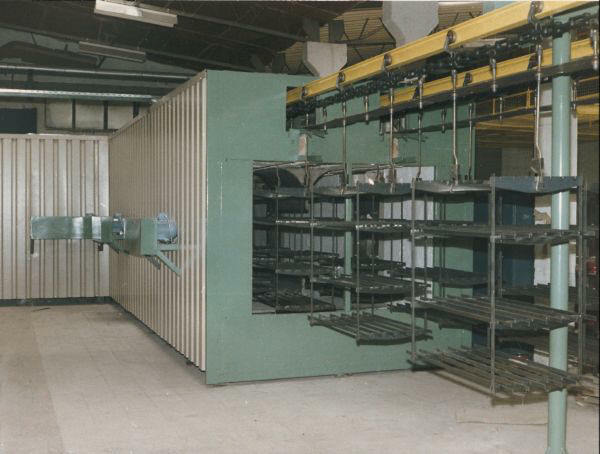 Products are suspended to the next overhead conveyor and pass thru a powder booth, where powder enamel particles are sprayed electrostatically. Thanks to the electrostatic charge powder particles stick to the substrate and allow transfer to the furnace conveyor. Any oversprayed enamel is automatically recycled and sprayed again. In this way an almost perfect material utilization is achieved. 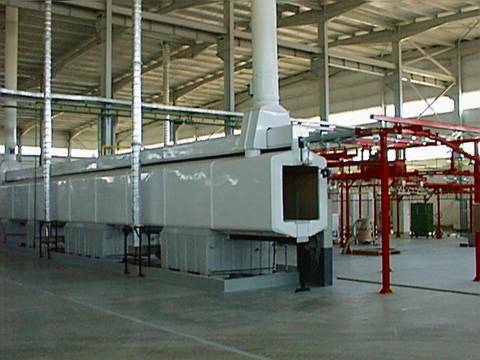 At the enameling furnace the dry enamel film, which thickness range between 90 and 220 microns depending upon the utilized enameling process, is cured at a temperature between 800 and 830 degree Celsius. 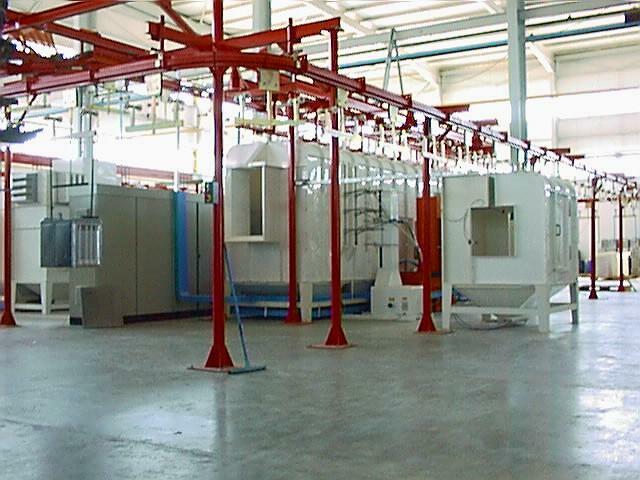 Ditmer Trading & Consulting B.V. is specialized to provide independent consultancy and/or project management to enable trouble-free realization of complete enameling plants on a turnkey base. Click here for our contact details.